Sellew had worked diligently since publishing his pamphlet “Why Not?” on women’s ordination to see them granted more senior leadership roles. The passage of the 1911 resolution was seen as a step forward for the denomination. Never mind that it would be another sixty-three years before the next move was made to ordain women as elders. 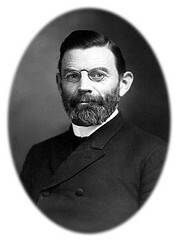 Yet, Sellew was still concerned after the 1911 General Conference that the 1915 General Conference would seek to overturn the decision of allowing women deacons. Thus, he reprinted his pamphlet again in 1914 and notes in the forward that the decision to reprint it was due to two reasons. First, that many people had joined the denomination since the pamphlet’s original printing in 1894 and didn’t understand or support the denominations decision to ordain women. Second, that he wanted to forestall any move to repeal the 1911 decision. Sellew goes on and offers a point-by-point defense of women’s various roles within the church. To justify allowing women to be deacons he goes on for several pages providing various concordances and Biblical dictionaries as evidence the different meanings of “ordained,” “preaching” and “deacon” illustrate that much of what has been used to argue against women’s role in ministry is nothing more than a difference in translation. Roberts and Sellew do differ on two key points. First, in on “Ordaining Women” Roberts takes the issue of women’s ordination a step farther than Sellew and says that women and men were created equal by God. Sellew does not claim that – instead noting that there are inherent differences, and some women have been given an extraordinary call to ministry. Sellew’s position is more along the lines of John Wesley who believed that some, but not all women, were called to ministry. Second, Sellew tried to reassure his male readers that even though women make up a majority of Free Methodists congregations they almost always will vote in a society meeting to appoint men to senior leadership roles over women. Only when a capable man is unable to be found will they appoint a woman. I understand that in an era when women were just beginning to realize their potential for public service they wouldn’t think twice about appointing a man over a woman. I just have a problem that Sellew seems to be pandering to the men. As a rhetorician I do see the point of trying to balance the importance of Free Methodist women’s roles and the hesitations of conservative men. I just wish he had been a bit more forceful and not quite so middle of the road. Nevertheless, no matter what my personal critique of Sellew’s pamphlet is, the fact cannot be overlooked that without his influence women most likely would not have even been granted the status of deacons in 1911. Over the next few posts I’ll continue to explore Sellew’s support of women in ministry, particularly his support of women and missions through his biography of the founder of the Free Methodist mission in China – Clara Leffingwell. Leslie Marston. From Age to Age A Living Witness: Free Methodism’s First Century. Winona Lake, IN: Light and Life Communications (1960). Previous Previous post: What Makes a Free Methodist Feminist?